Click the above picture to view a great PowerPoint about WBEA 2020! Thank you to Arizona for a great conference! 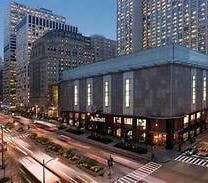 Chicago Marriott Downtown Magnificent Mile. Visit the ISBE conference webpage for more information on upcoming conferences. ﻿The WBEA 2018 Conference was held in Boise, Idaho, at The Grove Hotel. Click below to visit the IBEA website.